It's that time of year again. People have already put up their Christmas trees, are busting out Michael Bublé and Frank Sinatra, and are dusting off those tacky Christmas sweaters. But there are some among us who just don't like Christmas. It doesn't matter how many annoying Christmas songs you play, or how many times you talk about your grandma's amazing stuffing, it's not gonna happen. That doesn't mean, though, that Grinches don't like delicious cake, cupcakes, cookies and hot chocolate. They just want them to be Grinch-y, that's all. Yes, that's right, Grinch inspired treats exist and they're amazing. 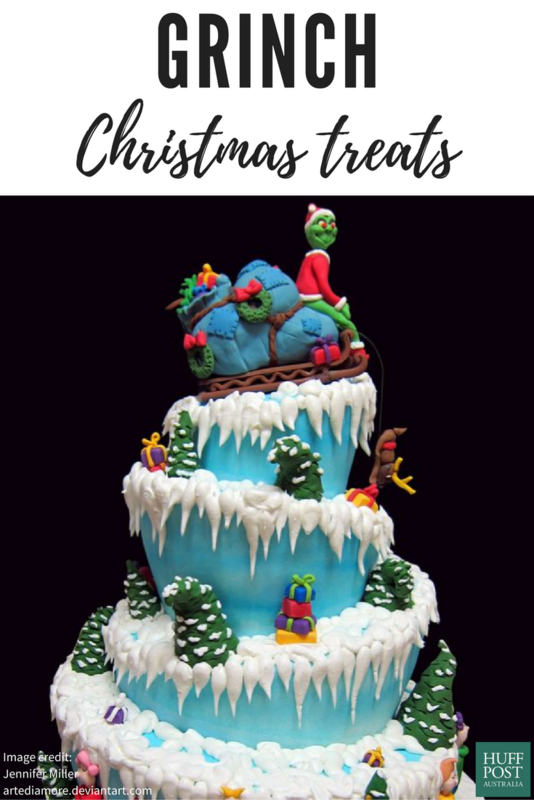 From green cupcakes to tall, elaborate Whoville cakes, these treats are for the Grinch in your life.